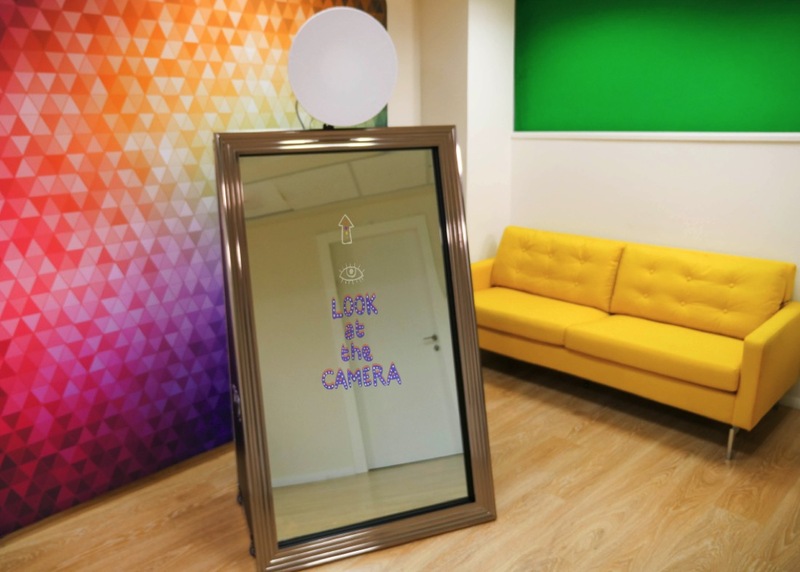 Our Mirror Me Magic Mirror is a luxury and glamorous selfie mirror which captures full-length photos using a reflective touchscreen. Strike a pose. Customize pictures using the on-screen paint pad. Print your pics in less than 10 seconds. Want personalization? You got it. You’ll have access to features like signing your name on the mirror, motion activation, event logo stamps, emojis, and more! Pricing starts at $995 for 3 hours and goes up to $1,600. Our most popular package is $1,200. Your guests will take away prints that can be branded with custom messages, logos, and graphics. Instantly share your photos via email, text, or FB/IG. Your guests can sign and add a personalized message to your photos. How cool is that? Scream or clap at the mirror to trigger the camera! The print and mirror will display the volume bar with the result of your scream. 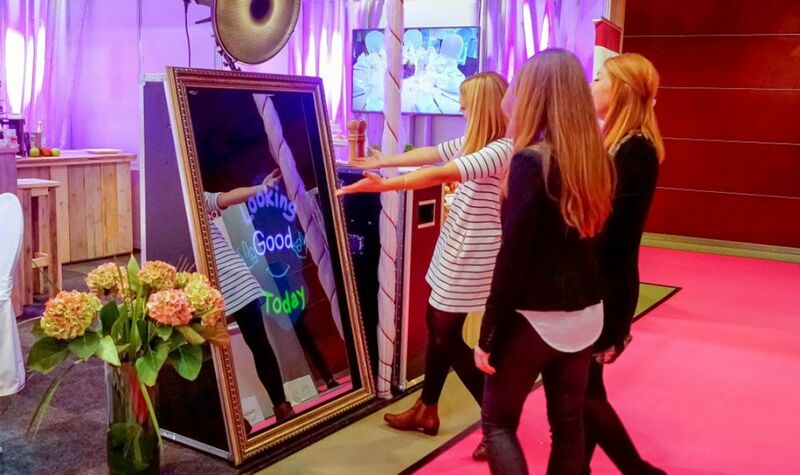 Your guests can activate the Mirror by raising their hands, smiling, and even by facial recognition. We have over 1,800 photo templates for you to choose from.